The first week of November saw me traveling to Itanagar in Arunachal and the memories of the trip are all still fresh and cheerful. If it wouldn’t have been about coming back for Diwali to be with family, I would have extended my trip for sure. There is so much about the state that needs to be seen and written about. But I am glad that I had my first touch-down. And not one but too many reasons took me to the capital city. From sending out message to the whole world that we are determined to ensure safety of travelers to promoting adventure sports to building on the enthusiasm of the locals, the state of Arunachal seemed welcoming in every way. Not to forget, the gorgeousness of its skies and the surrounding landscapes are endearing. I found myself nature-struck at every few steps. 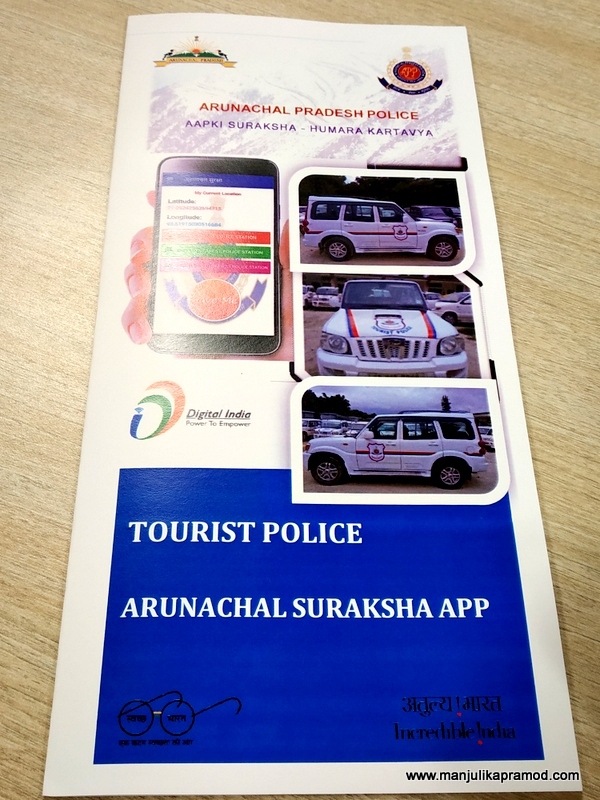 Let me take you through the flag off ceremony of third round of MRF FMSCI (the Federation of the Motorsports Clubs of India) Indian National Rally Championships (INRC) and launch of Arunachal Pradesh Tourist Police and Tourist Police’s mobile app – Arunachal Suraksha. 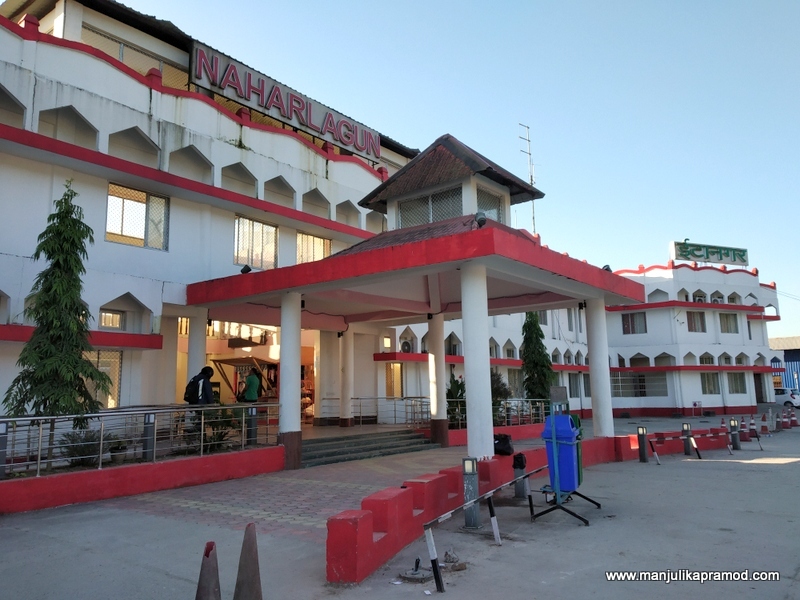 The nearest railway station to Itanagar is Naharlagun. One 46th Raising Day, the purpose of the launch of the Surakhsha app was to provide a sense of security to the tourists giving a feeling of being welcomed in the state. An enhanced security environment is an assurance for the tourists to come and explore the state. Using this App, Tourists may contact Arunachal Police for safety and Police Officials can easily determine the geo location of people in distress and provide help. The App is available at Google Play Store and MSEWA Portal. 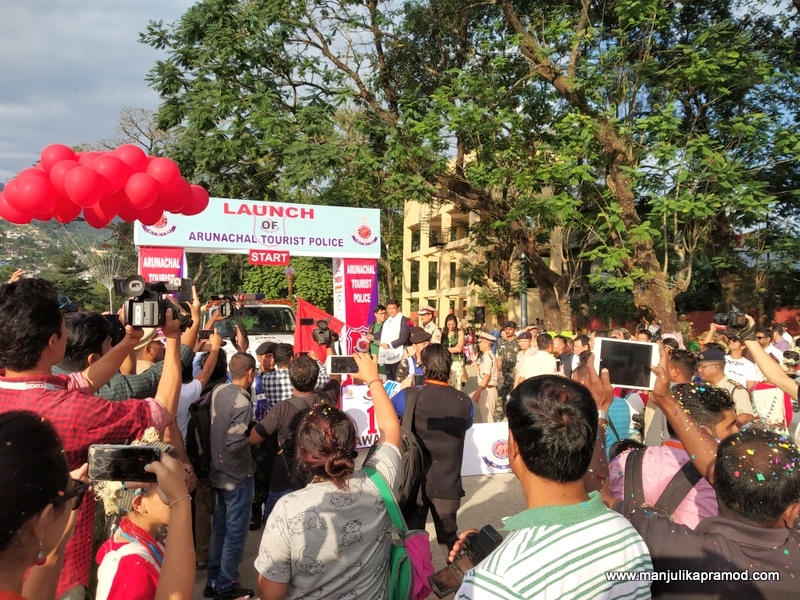 Tourist Police was launched in 7 districts of Arunachal Pradesh to help and guide tourists about transportation, accommodation, and any other emergent services required by them. 16 (Sixteen) Scorpio vehicles have been specially designed for tourist police which shall be stationed around the iconic tourist places and shall also patrol around them. “Safety is a key aspect for any tourist visiting a destination. 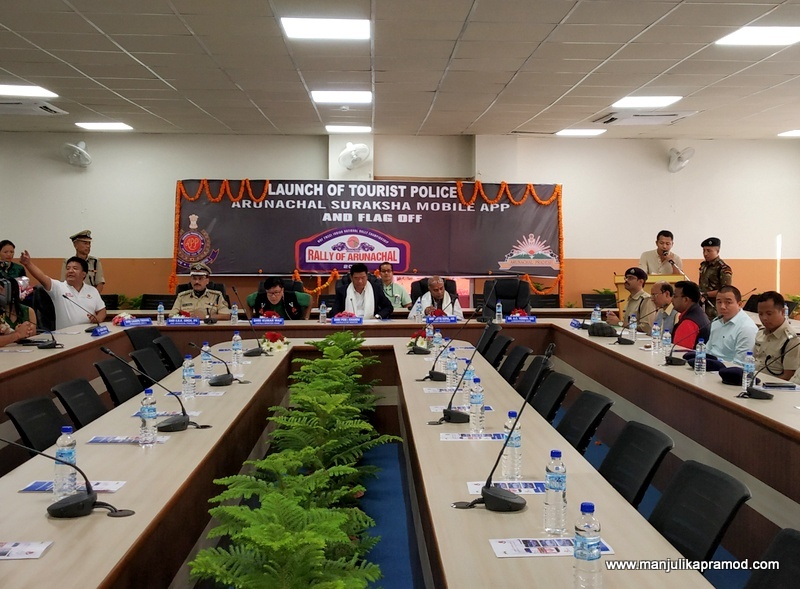 The launch of Tourist Police in the state is one of the initiatives that Arunachal Pradesh Police has taken to address the perception and concern of tourists regarding safety. 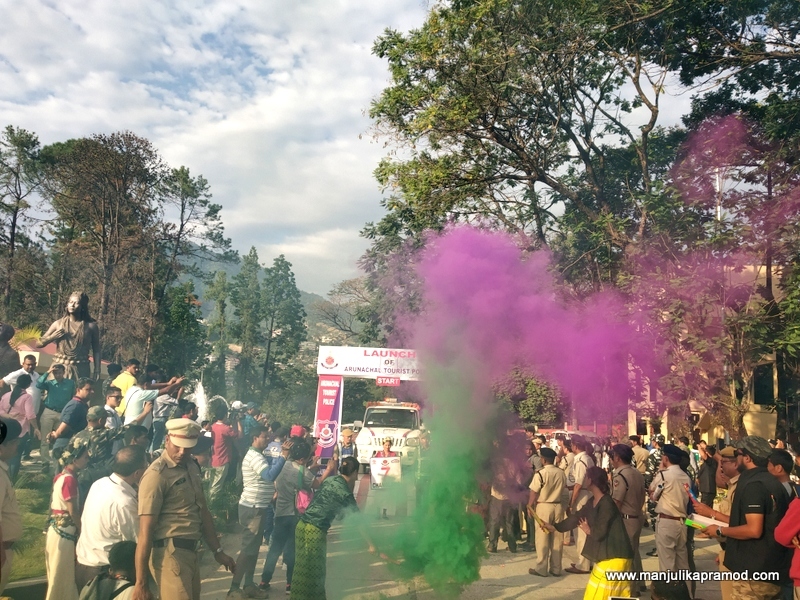 The initiative is being launched in seven districts of the state that includes Tawang, Bomdila, Itanagar, Ziro, Pasighat, Tezu, Namsai, and Changlang. 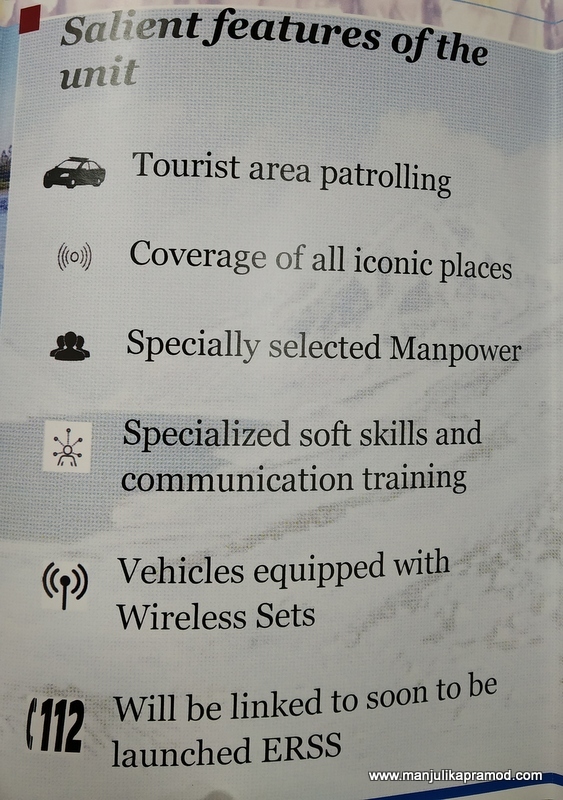 Each of the districts has been provided with vehicles fitted with wireless communication equipment and manned by specially trained personnel to respond to the needs of any tourist in distress,” said Director General of Police (DGP), Shri SBK Singh. The motorists were given a warm welcome and it was a great start. 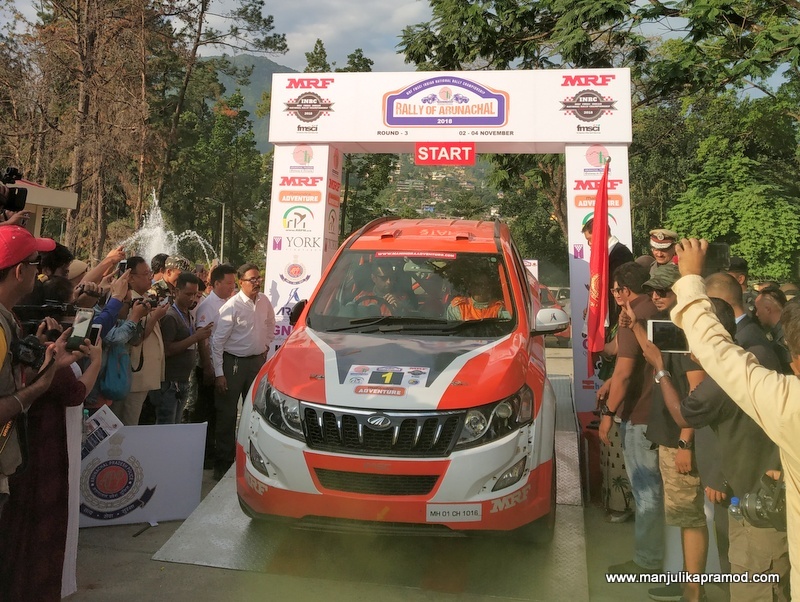 Rally of Arunachal 2018 that took place in November. 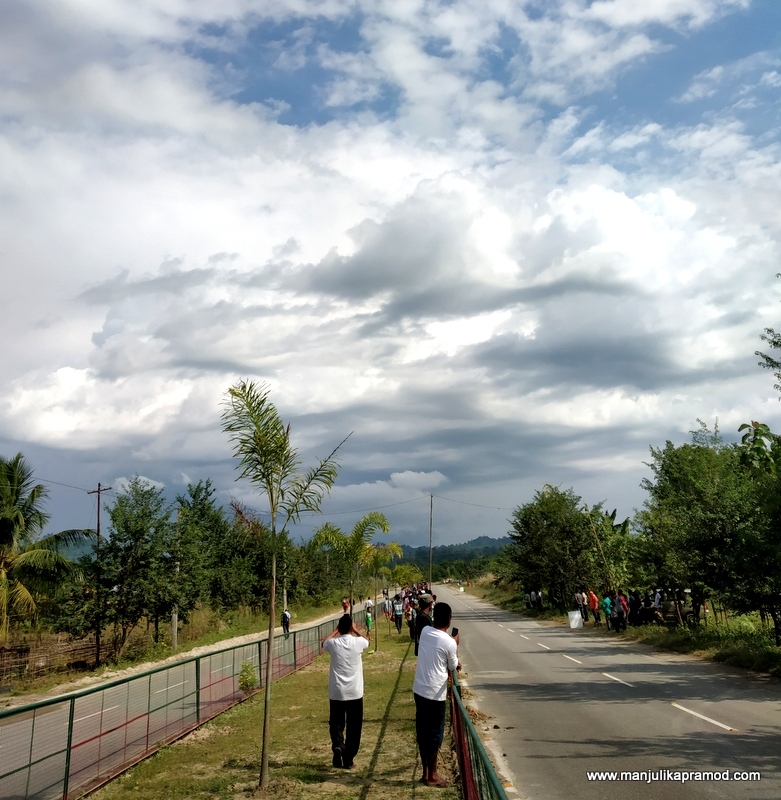 The motor sports competition took place at National Highway 425 from Chimpu to Hollongi near Itanagar. On 3rd November, four runs from Chimpu to Hollongi and back to Chimpu took place. This was followed by three more runs from Chipmu to Hollongi and back to Chimpu on 4th November. The highway is one of the most beautiful highways of India. It was thrilling to map it on a 4X4. I captured the participation of the locals on the Hollongi side. The guys were excited and discussed around cars, speed, championship among themselves. They were all perched at vantage points. 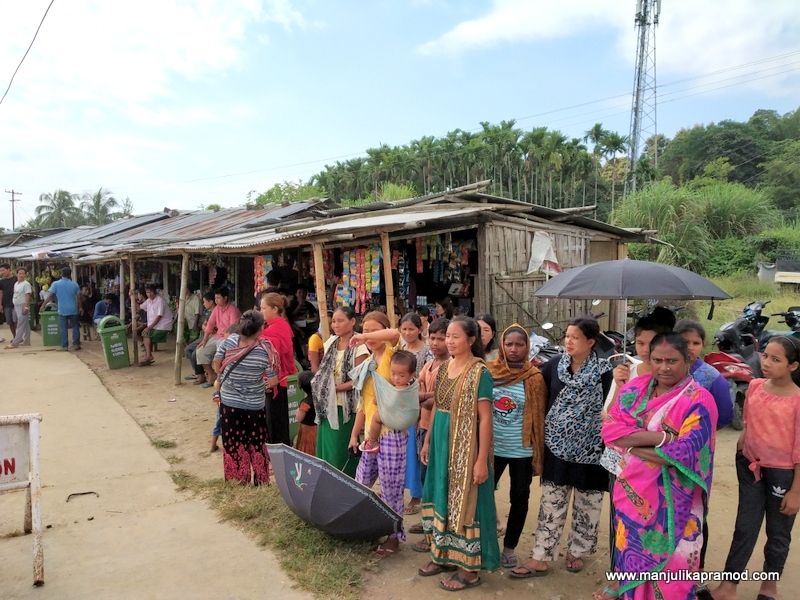 It was encouraging to see that even the women from nearby villages had come to experience the rally and to find out what the whole helluva was about. 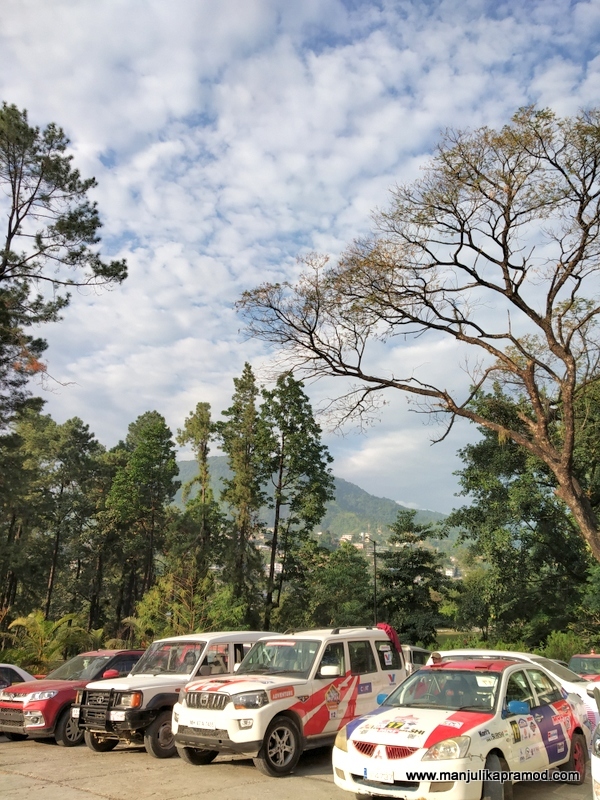 Top Motorsports competitors from across the country participated in the rally that was hosted by the Motorsports Club of Arunachal, which has been affiliated to the Federation of Motorsports Clubs Of India (FMSCI)– the apex governing body of Motorsports in the country. 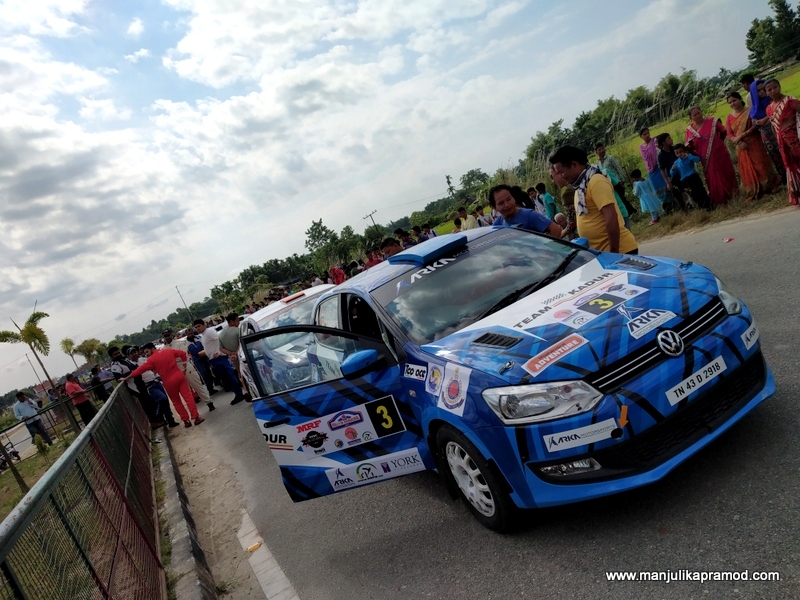 The rally featured three teams from Nagaland and one from Arunachal Pradesh. 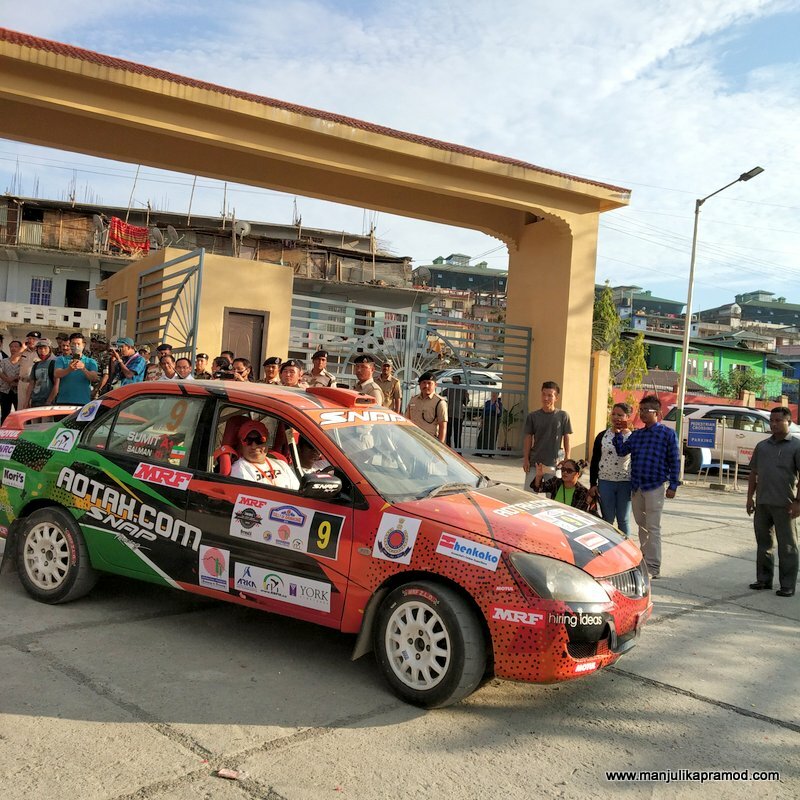 Defending champion Gaurav Gill asserted his supremacy to take a lead on day one of the Rally of Arunachal. However, he could not win due to technical glitch of his vehicle. At the end of highway on the Hollongi side where the cars were lined up straight. Adventure Tourism is really picking up in Arunachal Pradesh! 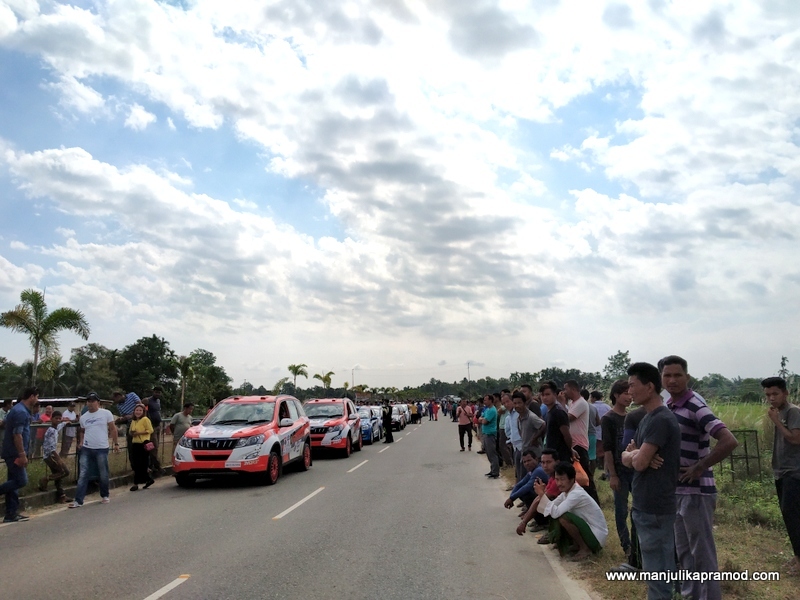 Locals were lined up in the safe zones to enjoy the thrill and momentum of the motorsports rally. Amittrajit Ghosh with Ashwin Naik as co-driver finished third in the day one of the rally. 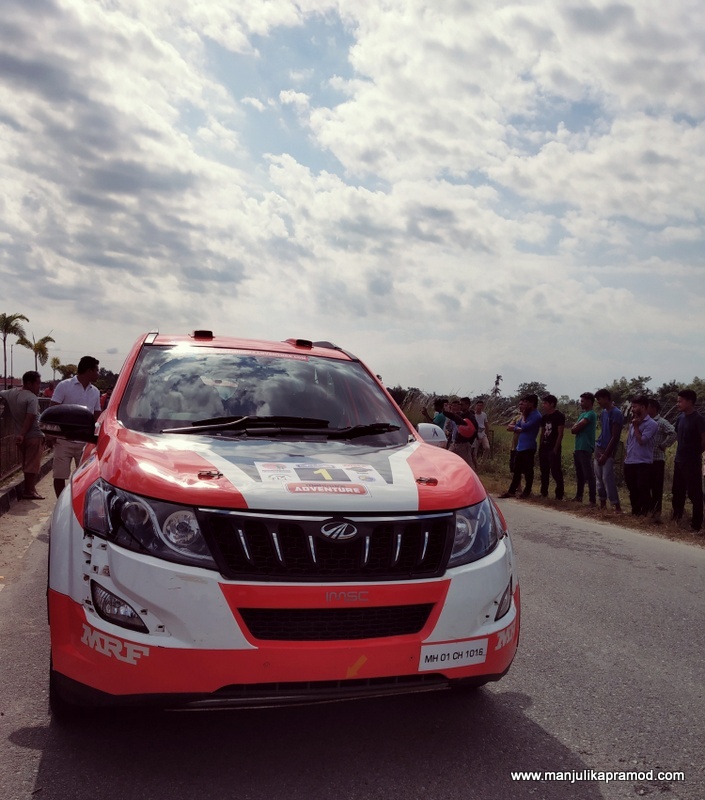 Competing in the first tarmac rally of the year, Ghosh and Naik bettered their first day’s performance clocking an aggregate timing of 57:33.6 minutes. They were the winners of Rally of Arunachal 2018. Motorsports is an absolutely thrilling sport. An enjoyable post with lovely pics! I was very interested to read out the tourist police, it really shows a keenness to make tourists feel safe. The rally really looked like an exciting event. I liked all of your photographs. Arunachal looks like such a cool place to visit. 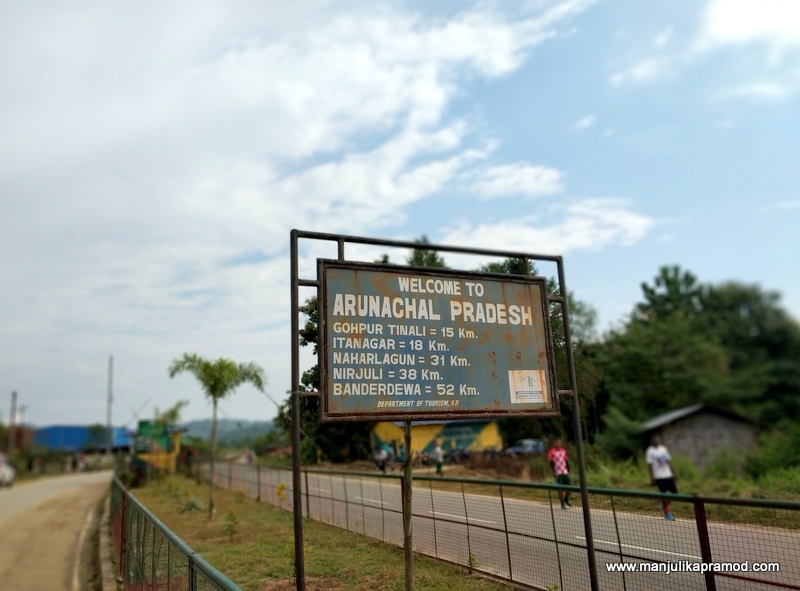 I have never been to India but I would definitely consider to visit Arunachal. The rally seems to be quite a happening! These pictures truly capture the feel of the Motor race! Seems like an exciting experience. I’ll admit that I don’t know much about motosports, so I learned a lot from your post. It is fun to see that everyone seems to enjoy it- women and men and all ages. The concept of the tourist police is a great one, and I imagine that it really helps tourists feel safer. Nice photos. I have seen some parts of Arunachal – Sela, Seppa, Bomdila, Twang & Itanagar. Beautiful region & eco sensetive region. In my opinion motorsport here in Arunachal is recepie for disaster. As a fan of motorsports, I loved learning about this event. I didn’t even know there is one in Arunachal Pradesh. AP is one of the last states in India I still didn’t visit and would sure love to visit some day. It was an interesting read, especially about the tourist police. It’s clear the authorities are doing lots to ensure tourists feel safe whilst visiting. The rally looked cool and obviously a spectacular event for tourists and locals. It sounds like you found many reasons to really enjoy your first visit to Arunachal. Interesting to learn about the local police initiative of the Surakhsha app for security, I hope this proves to be successful. I’d love to see the Rally event, what an amazing backdrop to do something like this in that region! I think motorsport is a good opportunity for sports tourism in this city. Glad that you are helping to promote it, and maybe this could be the next place for F1 Tour! Have you experienced driving these kind of cars? Arunachal is such a great place to explore. however, tourists do usually have reservations to travel there due to security. it is so good that they have launched Surakhsha app to provide security to the tourists. Indeed a good initiative by the state to boost tourism.